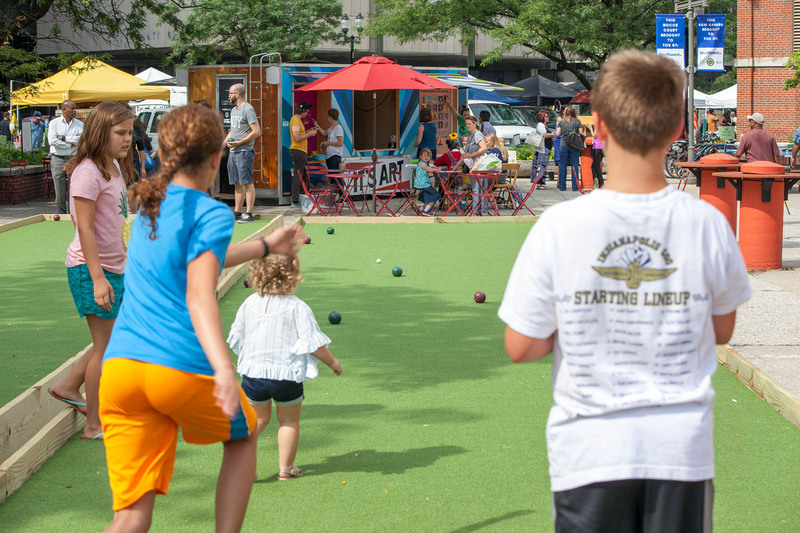 Indianapolis City Market and Big Car Collaborative joined forces in 2016 to enliven the City Market East Plaza, a longstanding yet previously neglected cornerstone of the emerging Market East District. The City Market supports a thriving local food scene, hosts a bustling weekly farmers’ market, and shares a home with the YMCA, the Indy Bike Hub, and other key community institutions. 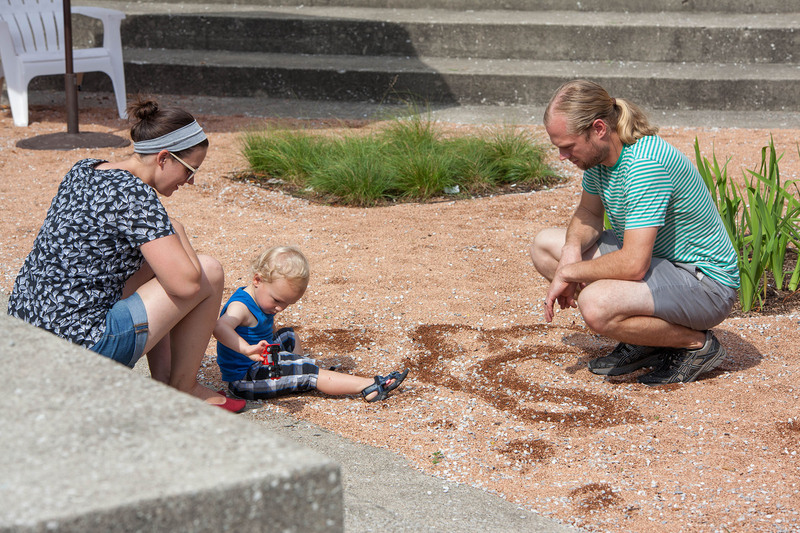 It was a perfect location to showcase exciting, accessible programming and new amenities, supported by a Southwest Airlines Heart of the Community grant and within the framework of Big Car’s second annual Spark Festival, coined City Sparket for the 2016 season. 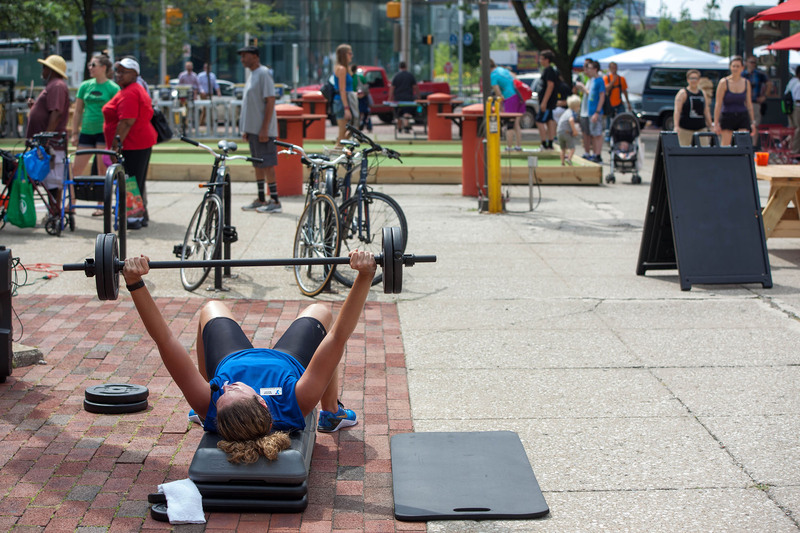 The HOTC grant program culminated with a launch celebration on the Second Annual Indianapolis Placemaking Day in July of 2017. 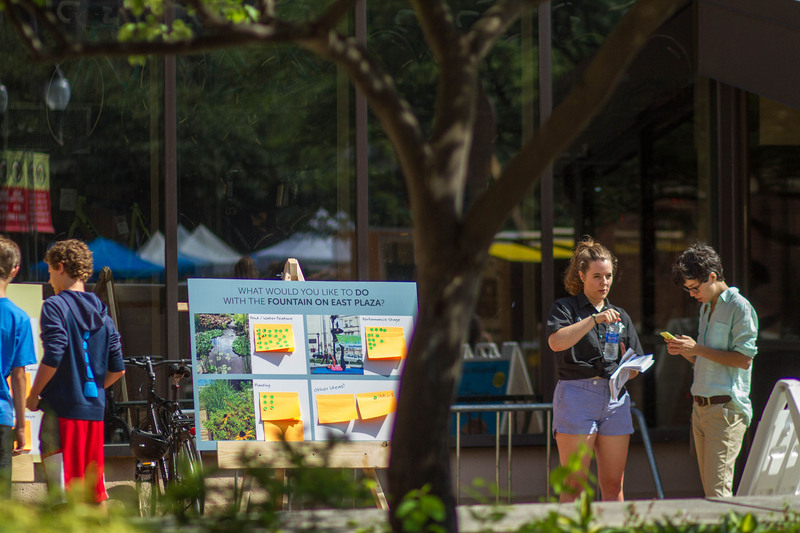 Since then, the new and improved East Plaza – complete with a grant-funded rain garden and bocce courts, and mobile parklet alongside programming provided in part by the neighboring YMCA – has seen a more diverse and active community presence than ever. Community members have expressed strong feelings of belonging and inclusion thanks to the new outdoor offerings. Through the process, the two local partner organizations have also developed collaborative, mutually-beneficial relationships with a number of partner organizations in order to broaden the net of community engagement and representation, to enrich the Market’s offerings, and to support each other in their work toward making downtown Indianapolis a place the entire community can call their own.